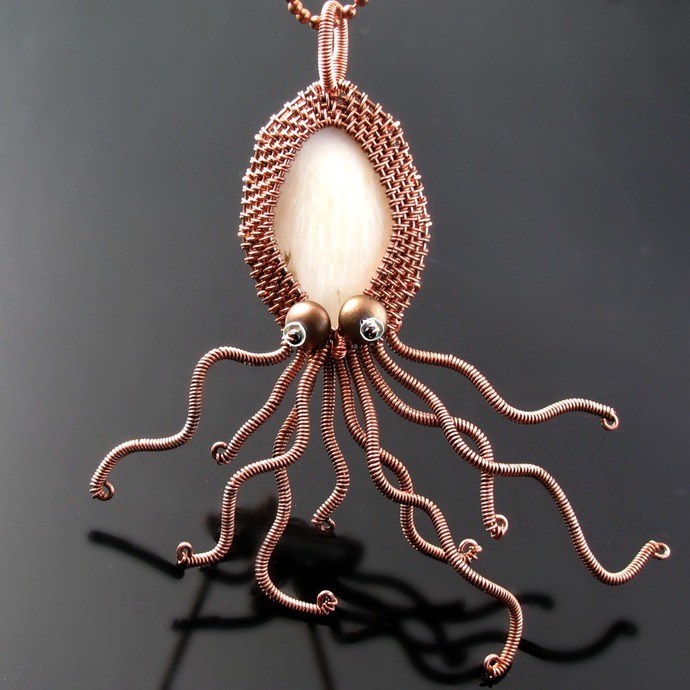 She is woven from oxidized copper wire with a white scolecite cabochon in her head and has eyes made from three kinds of beads. You can move her arms yourself depending if you want to them to spread out - which makes her even more impressive - or downwards. As with all wires I wouldn't recommend constant playing on them, though. 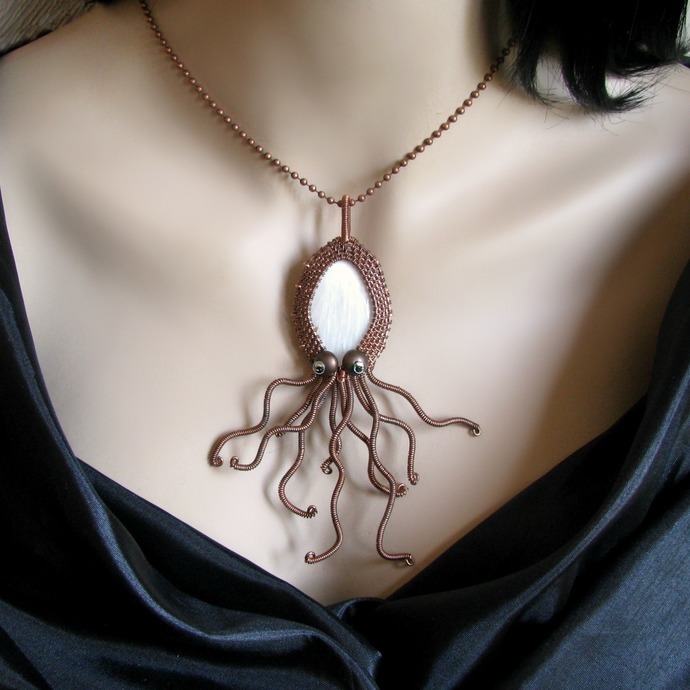 Depending on the arms Squid Mom is about 11.5 cm or 4 ½ inch. 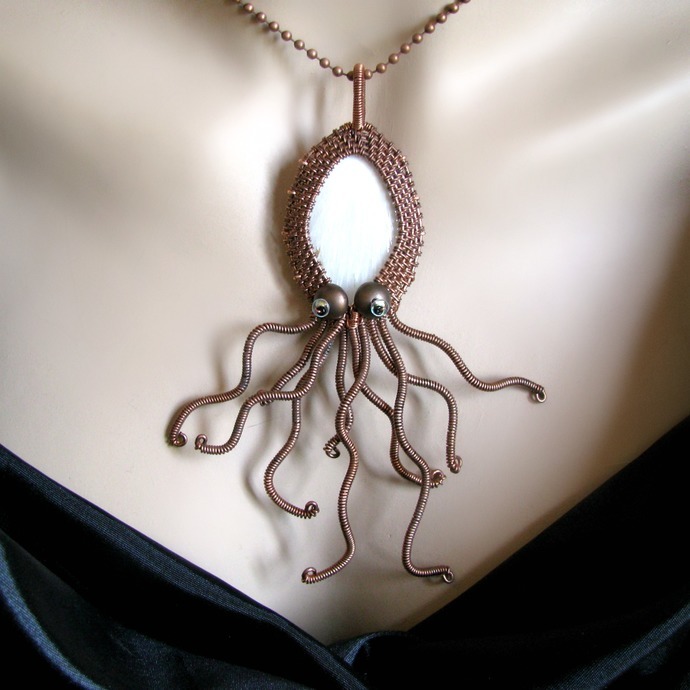 She comes on an antiqued copper tone chain. 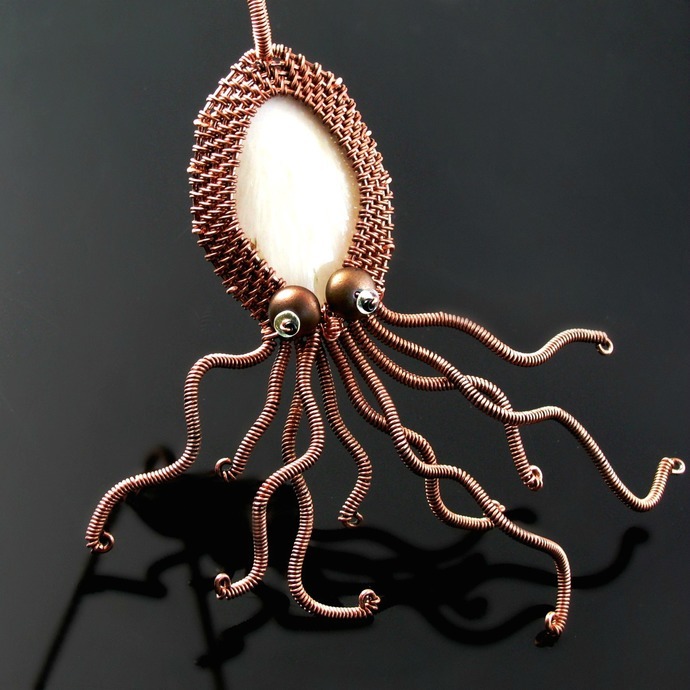 Also check out the Squidlings in my shop, her offspring as earrings!